Mageplaza supports 1, 2, 3 columns and 3 columns with Colspan Magento 2 checkout layout in One Step Checkout extension for store owners to configure their frontend. Moreover, you can also design the checkout page style with the default style, flat design, and material design which is coming soon in the next version. Learn how to arrange checkout fields nicely with Mageplaza One Step Checkout here. To see clearly how to change store layout of the checkout page as well as the demo look of each layout and design style, please keep reading the next part of this post. First, step, as usual, log in your admin account in the backend then in the left sidebar choose Store > Configuration > Mageplaza > One Step Checkout. 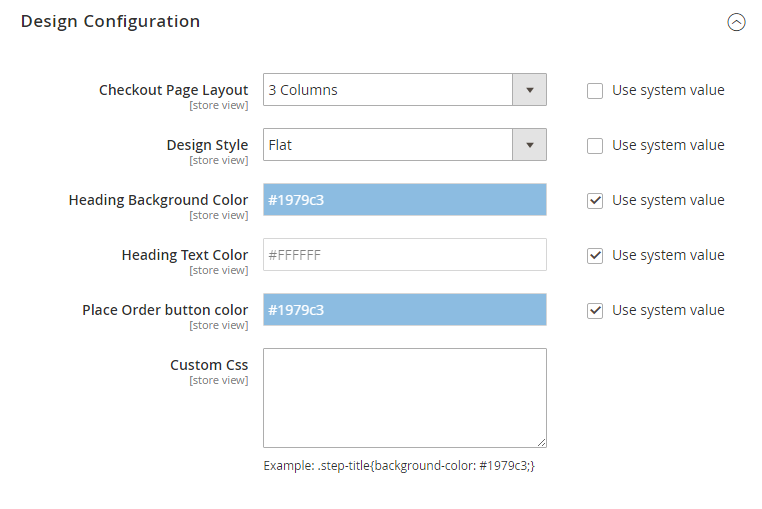 Expand the Design Configuration section which contains store layout and store design style for you to manage. You can change the number of checkout column in the Checkout Page Layout field. The One Step Checkout is also optimized with the 3 columns with Colspan which have the review table bigger for your shoppers to view. All checkout layouts will be presented in the video below.